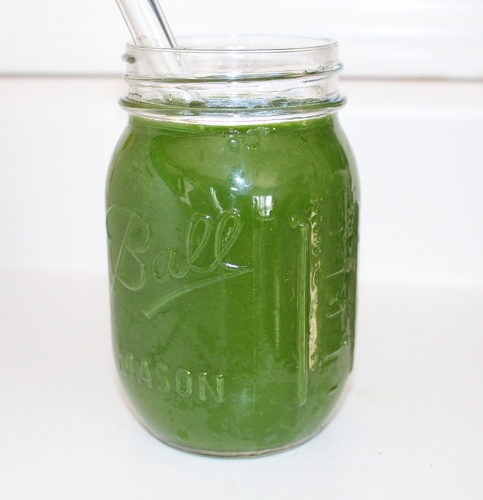 I invented this green juice detox one year on the day we got back from Thanksgiving at my parents' house. It's been years and years since I ate non-vegan food, but that doesn't mean that I escape family holidays without feeling like I'm eating junk all... day... long. I blame it on my mom, who is an excellent baker and wants to show that to her vegan son-in-laws. I also blame Chloe Coscarelli, Isa Chandra Moskowitz, and Colleen Patrick-Goudreau. So, I came home and craved real, whole food. 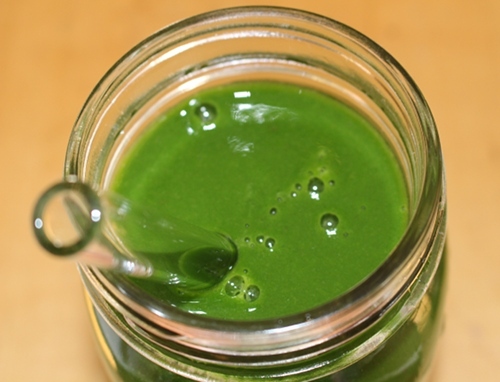 Making green smoothies to detox is the perfect place to start. I don't actually do detoxes or diets per se, but I will ramp up my intake of vegetables and fruits when I'm feeling like my daily diet is swinging in the wrong direction. 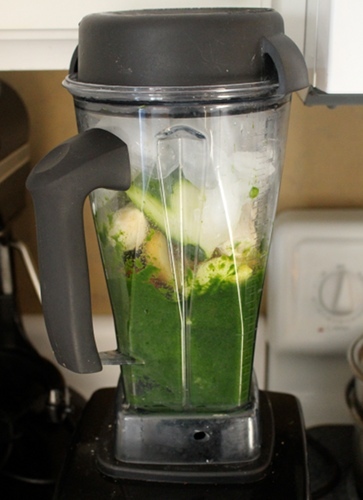 Juicing is an easy way to toss a ton of nutrients into your body as quickly as possible. And the thing is, it truly does make me feel amazing to drink this green juice detox. 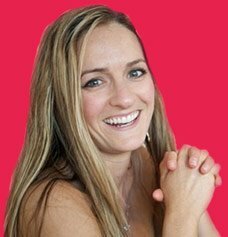 I feel full without feeling heavy, I feel light without feeling hungry, and I swear that it helps my skin, eyes, and hair stay clear and my energy remain high throughout the day. Sound like a miracle cure? Nah, it's just fruits and vegetables at their best. It's easier to eat more of them when you crunch them down into pulp, so you're getting megadoses of the good stuff. I absolutely love my blender, but you can make juice with a regular blender as well. I do love a great cold pressed drink from a fancy juicery and will pay the big bucks to get one every once in a while, but I almost always think how I could make the same thing in about 3 minutes at home. This green juice detox recipe makes so much juice that most of the time I can't fit all the ingredients in the blender at once. I start with the greens and blend them, mashing them down with the tamper. Then I have room and liquid for easy blending with the rest of the goods. 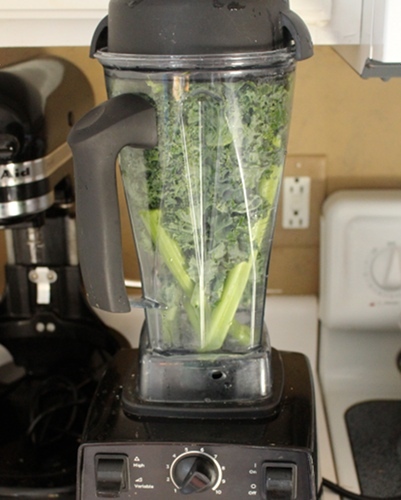 Start with the kale and celery and get them into a nice pulp and then add the rest of the ingredients in order, blend until it's nice and thin. If your mix starts to get warm you can add more ice, which at first might make the juice thick like a smoothie, but with a few more seconds should loosen up into a juice. If you don't have one of these ingredients at home, don't just not make the juice. Play around with other vegetables and fruits and feel free to just skip something if you have no substitution. Spinach makes a nice sub for kale. Another lightly flavored green is great in place of lettuce. You can leave out the ginger if you want a less spicy flavor. Pears are great subs for apples. You could use lemon juice if you don't have a real lemon, or a lime would work as well. Celery actually has a really strong vegetabley flavor, so if you have a veggie-hater on your hands, you can use less or leave it out. Also for those haters, add more fruit to disguise the vegetables. 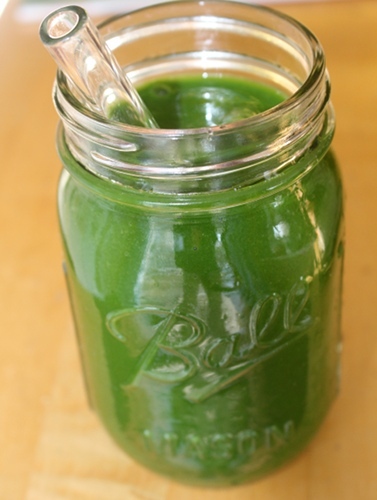 You can make something bright green that tastes like a Jolly Rancher by just adding more fruit. If you decide to buy a Vitamix after clicking through a link on this page, you can save money and I make a commission, and I'll be really grateful for your support!